New coupon available for 10 NIS off your purchase of Tival brand low fat Broccoli Shnitzels. 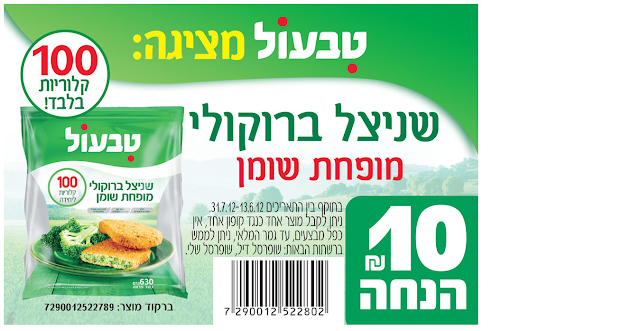 Coupon expires at the end of July, and is redeemable at Shufersal Sheli and Shufersal Deal. This is an authentic printable coupon, from the manufacturer, not a scanned version. So print it out and share this post with your friends!